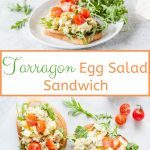 This Tarragon Egg Salad is creamy and healthy, it has a delicious and vibrant tarragon flavour. 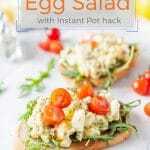 Eggs are cooked in Instant Pot, thus making this salad really fast and simple. Perfect for Easter Breakfast! I love egg salad! If I am ever at a deli, egg salad sandwich is one of my go-to orders. There’s something about the creaminess of the salad and the satisfaction of eating a lot of eggs. It’s almost like having breakfast for lunch and I love breakfast and eggs! In most cases I am totally content with just plain egg salad: eggs, mayo, salt, pepper. But sometimes I like to turn a simple egg salad into something more unique, like this Tarragon Egg Salad, filled with vibrant and fragrant tarragon, enhanced with tarragon mustard, and accentuated with lemon and briny capers. Spread it over a slice of toasted rye bread, add a handful of peppery arugula and a few juicy tomatoes, and you will be in flavour heaven! 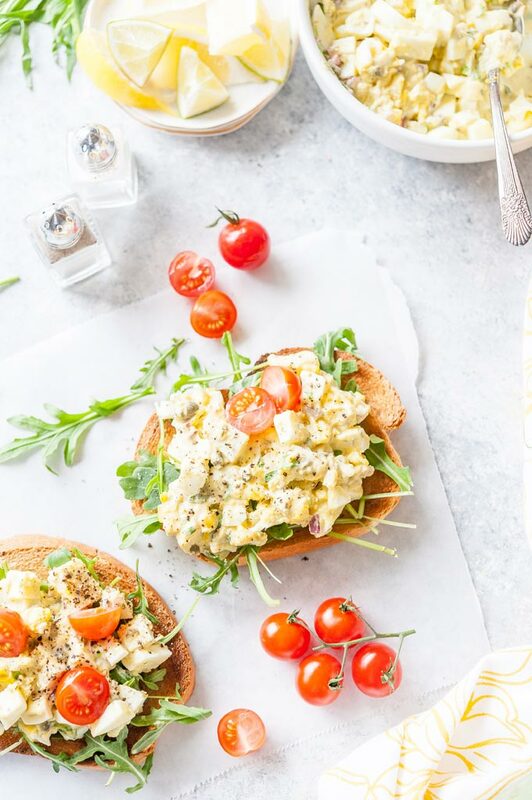 There’s so much zing and excitement in Tarragon Egg Salad Sandwich. You will not be able to stop at just one! 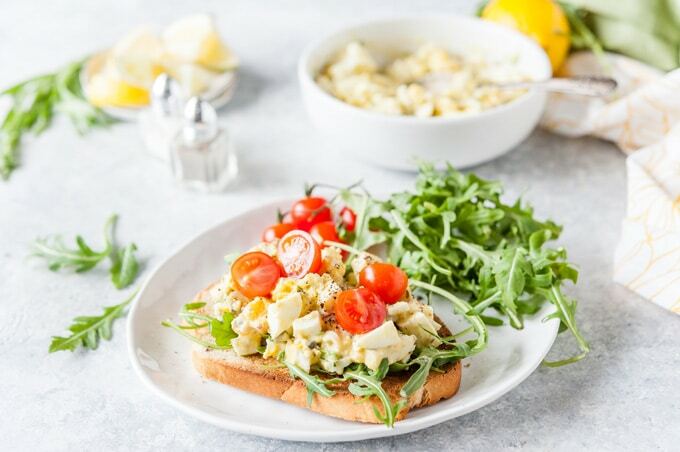 I first found a recipe for Tarragon Egg Salad almost a decade ago in an old cookbook but since then I’ve taken the idea of using tarragon to flavour the egg salad and adapted it to my taste. This Tarragon Egg Salad gets a double punch of tarragon flavour from both fresh tarragon and also tarragon mustard. If you can’t find tarragon mustard, you can use regular dijon mustard instead but I urge you to get a jar. It’ll keep in the fridge for a very long time and it’s perfect for all kinds of sandwiches when you want to add just a bit of uniqueness and something fancy. I use this specific brand of tarragon mustard but I have seen other kinds also, however, I haven’t tried them. Tarragon is an interesting herb, it has a unique flavour that is slightly reminiscent of licorice or anise, however it’s less pronounced. It’s delicate but still strong. 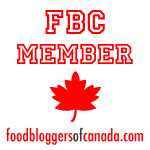 It’s a great way to flavour eggs or meats. In Russia, Tarragon is very commonly added to a fizzy soda drink called Tarhun and sold in Georgian restaurants. You can use your favourite way of boiling eggs. 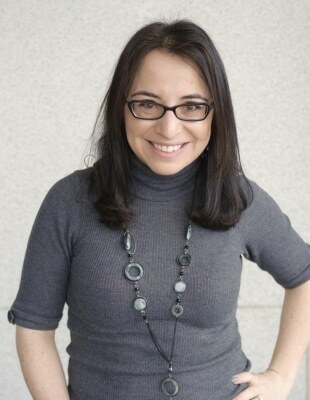 Some prefer to bring the eggs to boil, then remove from heat and let cool. Some boil in water for a few minutes. Up to you. This is the method I used before Instant Pot all the time, especially when making egg salad or devilled eggs. Learn how to bake perfect boiled eggs in oven. One of the first things people tend to cook in Instant Pot is often eggs. You can learn how to make Instant Pot Hard Boiled Eggs from My Wife Can Cook. 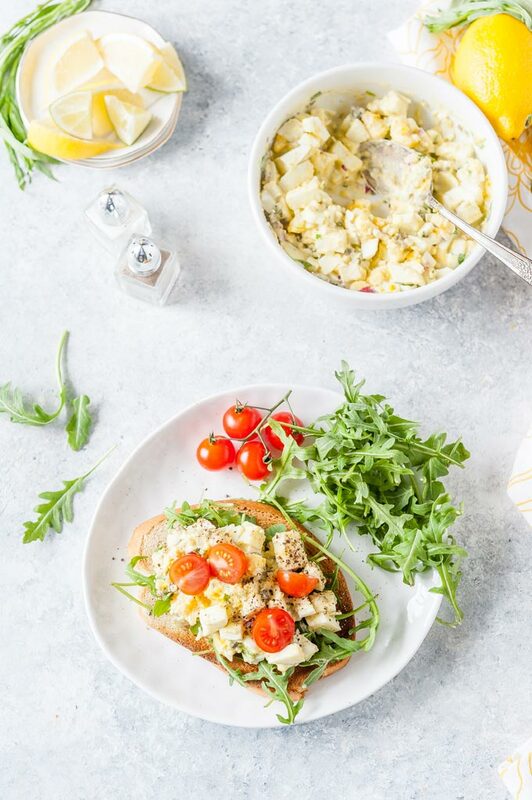 The most genius way of making eggs for egg salad in Instant Pot is to cook them all together in an egg loaf. Read all the instructions below! 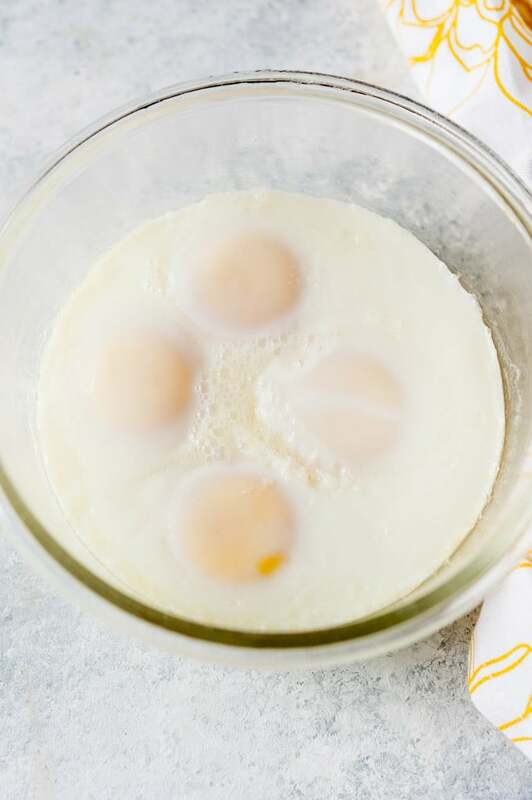 If you are wary of using glass or ceramic dishes in Instant Pot then you can totally use silicone Egg Bites Moulds to make Instant Pot No Peel Hard Boiled Eggs. The most difficult part of making any egg salad is actually boiling, peeling, and chopping the eggs. It’s time consuming and requires some planning. 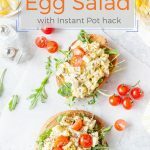 This Instant Pot Egg Salad Hack is genius and saves tons of time and effort. I am not going to take credit for coming up with the idea because I didn’t. I saw on on Facebook and I thought it was just really smart. So, instead of boiling individual eggs and peeling them and then chopping each egg separately, you make an Egg Loaf in Instant Pot! This way all the eggs are already cooked and peeled. And chopping a bigger egg loaf is much easier than chopping individual eggs. 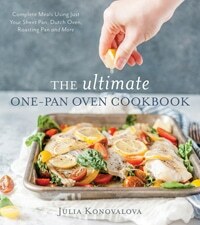 I’ve used this method for cooking eggs for my Russian Potato Salad also, although there egg loaf is cooked together with the potatoes and carrots. This method works for about 4-6 eggs. More eggs may require longer cooking time. I have tested this method with ceramic and glass oven-safe dishes. Other kinds of dishes, such as silicone or metal may take different time to cook the egg loaf. Spray a glass or ceramic oven-safe dish with cooking oil. See notes below about the dishes to use!! 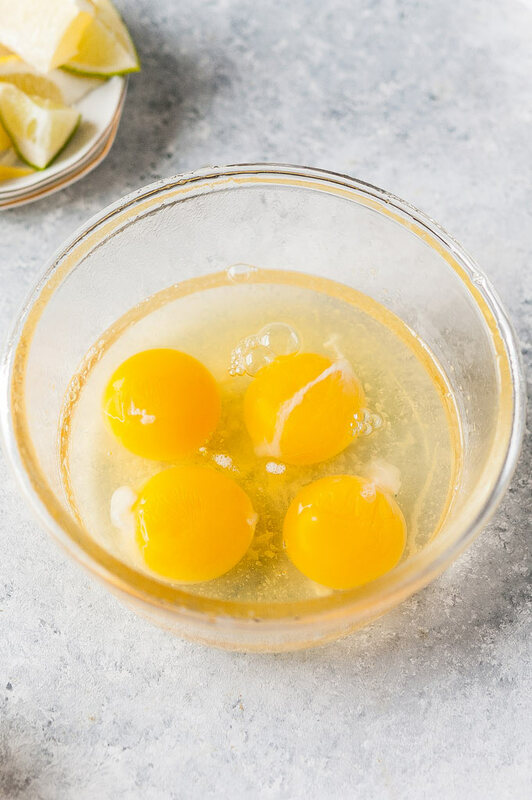 Carefully add the eggs to the dish, making sure that the egg yolks do not break. Add 1 cup cold water to your Instant Pot. Place the dish with the eggs on a trivet inside electric pressure cooker. Let naturally release for 2 minutes and then do a quick release. Officially Instant Pot brand says that glass or ceramic dishes cannot be used in their pressure cookers. Once again, officially Instant Pot says that you should not use those kinds of dishes in Instant Pot. I am just sharing what works for me but use at your own discretion. 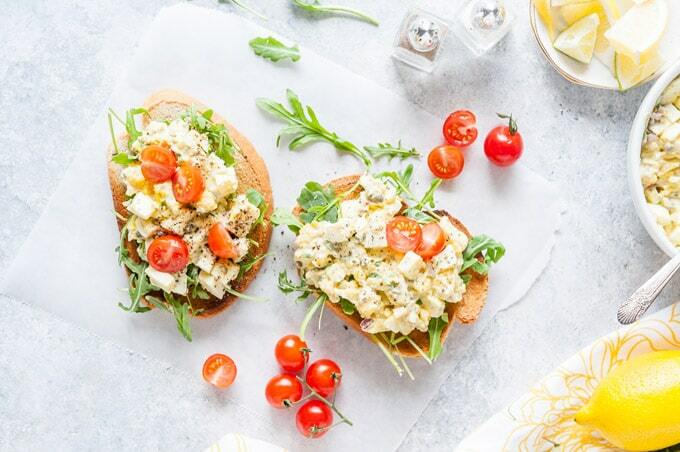 Once you have your eggs cooked and peeled (or in an egg loaf), then making Tarragon Egg Salad (or any egg salad for that matter) is super easy. Chop the eggs. I like mine to be chopped quite small but you could chop into bigger pieces if you prefer a chunkier egg salad. In a medium bowl, mix together all the ingredients for the tarragon mayo-mustard sauce. Add the chopped eggs to the bowl with the sauce and mix. I prefer my sandwiches to be open-faced. This is how we always ate them in Russia and this is still my preferred way. Lightly toast a piece of bread. 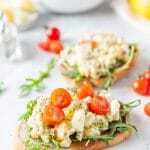 Light rye bread works wonderfully with this egg salad. 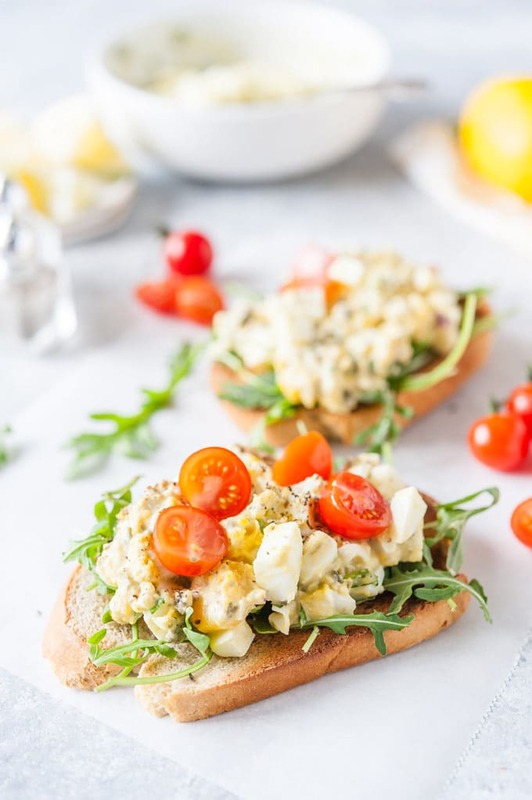 Add a handful of arugula to the bread and top with Tarragon Egg Salad. Add a few halved cherry tomatoes, season with freshly cracked pepper and salt. Add the eggs to the dish without braking the egg yolk. 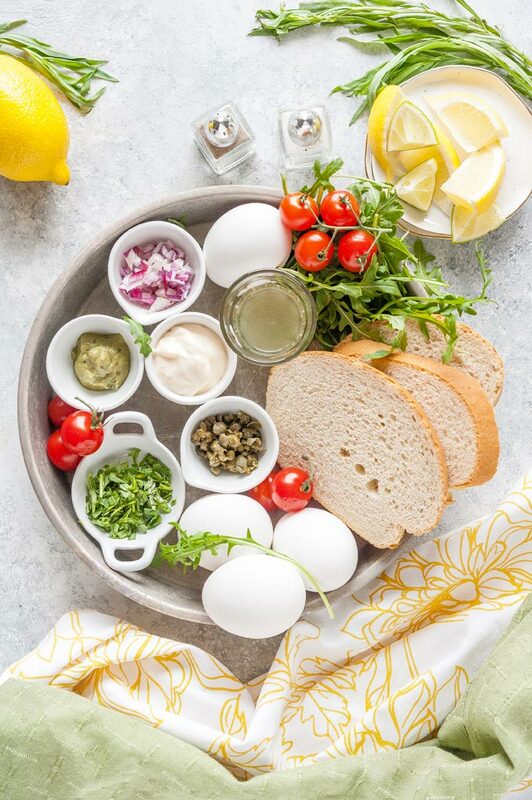 Place a bowl with eggs on a trivet and put inside Instant Pot. Close the lid, turn the pressure valve to Sealing. Press Pressure Cook or Manual button (depending on your model) and use the arrows to select cook time of 5 minutes. It will take about 5-7 minutes to come to pressure. Once the 5 minutes of cooking are up and your Instant Pot beeps that it's done, do a natural release for 2 minutes. It means just let your Instant Pot stand without doing anything. Then do a quick pressure release. This will take another 1-2 minutes or so. Follow instructions to make Instant Pot No Peel Hard Boiled Eggs. Follow instructions on how to bake perfect boiled eggs in oven. 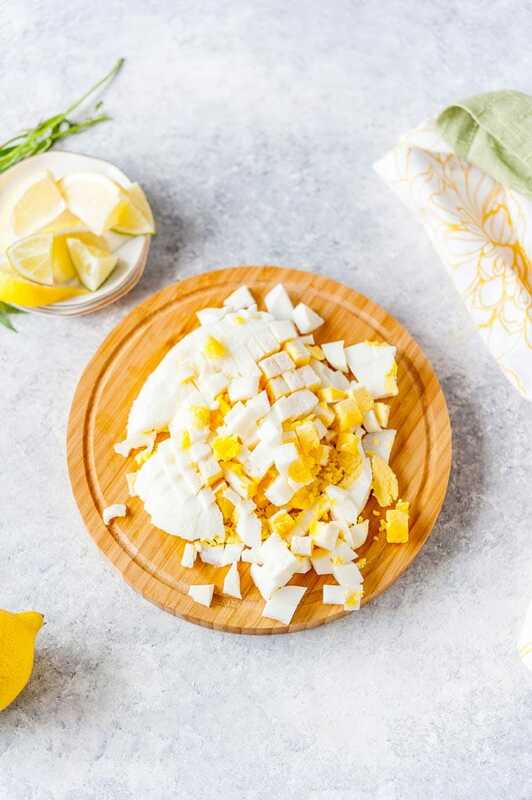 Finely chop peeled and cooled hard boiled eggs. In a medium bowl, mix all the ingredients until well combined. Add the chopped eggs and mix until the sauce covers all the eggs. This recipe makes enough for 4 sandwiches. Toast a slice of light rye bread. Add a handful of arugula to it. Top with some egg salad. Add a few halved cherry tomatoes and sprinkle with freshly ground pepper and salt. I do not add extra salt or pepper to this salad as there's enough sodium for me in capers, mayo, and mustard. But feel free to season to taste. Please note that officially Instant Pot says that you should not use ceramic or glass oven-safe dishes in Instant Pot. I have been using them for over a year with no problems. But use at your own discretion!! !